Gary and Kathy Leland love The Fixer Upper TV Show by HGTV, and enjoy watching Chip and Joanna Gaines go into an old fixer upper, and turn it into something wonderful. We watch the most current episodes of Fixer Upper when they come out, and then record out thoughts on each episode just for you . Subscribe today and join in on the fun conversation. 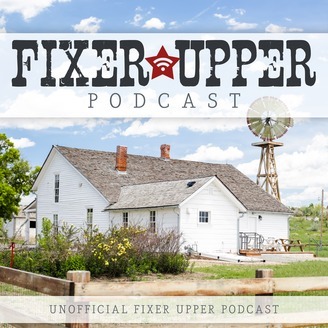 This is a fan podcast, and is not associated with The Fixer Upper TV Show, HGTV, or Chip and Joanna Gaines. This is an unofficial show podcast . This podcast is sponsored by https://LelandsWallpaper.com ETH: 0x3cCd1c8c2e55CA73b62ebF57F8B07B47c58e24bB. Season 5, Episode 19 - The Herrera House: A Remodel For A Rocker. On this episode the Gaines remodel a beautiful home for a Punk Rocker. 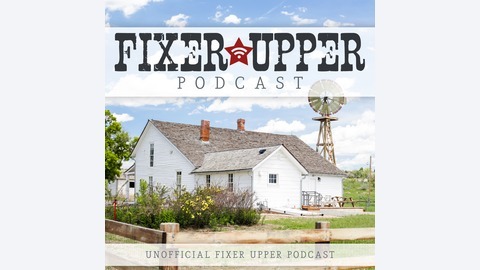 This is a fan podcast, and is not associated with The Fixer Upper TV Show, HGTV, or Chip and Joanna Gaines. This is an unofficial fan podcast. Thank You for listening and join us on our next episode. Take a look at our online store at LelandsWallpaper.com. Subscribe to Kathy's Blog at InteriorDecorate.com.